For want of a colonic stem cell niche, colonic stem cells are lost. For want of colonic stem cells, colonic epithelial integrity is lost. For want of colonic epithelial integrity, life is lost. So, the message is clear. Maintain a healthy colonic stem cell niche or suffer grave consequences. Although the colonic stem cell is of unquestionable importance, it remains something of a mystery, one that has attracted the attention of scientists based at the University of Zurich. These scientists, led by Konrad Basler, Ph.D., have just uncovered a big clue. They have discovered the cells that form the stem cell niche. These cells, the scientists recently reported, are subepithelial mesenchymal GLI1-expressing cells. These cells surround epithelial crypts, or small molds in the epithelium, which contain stem cells that rely on an activation signal called Wnt. According to Basler and his colleagues, the GLI1-expressing cells secrete Wnt, sustaining colonic stem cells and enabling them to renew themselves and maintain the intestinal epithelium, the layer of cells that is responsible for absorbing nutrients. In the last 1.5 meters of the gastrointestinal tract alone, 10 billion epithelial cells are replaced each day. The newly discovered details about the colonic stem cell niche appeared June 6 in the journal Nature, in an article entitled “GLI1-Expressing Mesenchymal Cells Form the Essential Wnt-Secreting Niche for Colon Stem Cells.” This article describes how the University of Zurich scientists performed studies in mice to demonstrate that mesenchymal cells play an essential role in forming and repairing the intestinal epithelium. The authors also speculated that the stem cell niche adjusts to meet the needs of the intestine via adaptive changes in the number of mesenchymal GLI1-expressing cells. “If the GLI1-positive cells are eliminated or unable to secrete Wnt proteins, the activation signal is lost. Consequently, the colon's stem cells as well as the epithelium will perish, and the organism dies,” explained Dr. Basler. 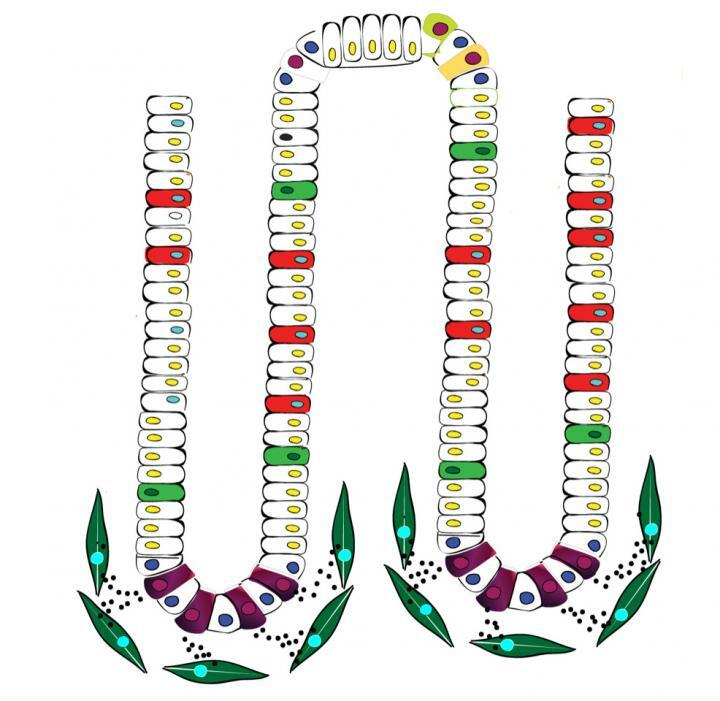 The current study confirms that a well-balanced regulation of the intestinal epithelium is critical. If Wnt signaling is stimulated excessively, the stem cells divide in an uncontrolled manner. “Mice with mutations in the Wnt signaling pathways develop polyps, from which colon cancer later develops,” noted Dr. Basler. This is also the case for humans. In further tests, the researchers examined the behavior of the cells in the stem-cell niche in response to inflammation of the colon. In this situation, many more epithelial cells are lost than in healthy animals. The need for new cells is therefore greater, since the tissue not only has to be maintained but also repaired. The researchers observed that the amount of GLI1-positive cells increased significantly in response to an inflamed colon. “The cells we've discovered are thus not only essential for healthy organisms, but are also essential when it comes to repairing a damaged intestinal epithelium,” noted Dr. Basler. 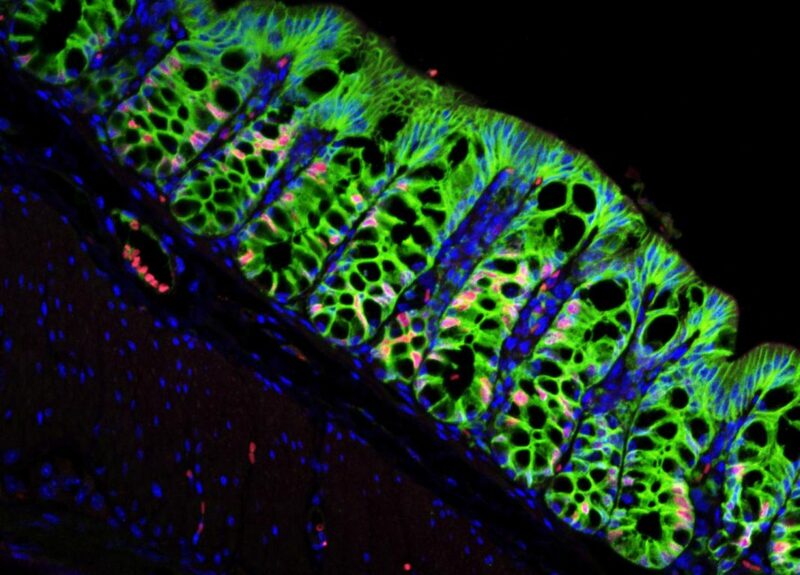 The discovery and description of the colon's stem-cell niche therefore has relevance for a whole string of intestinal diseases, from inflammation to cancer.